Water rafting in Hokkaido! 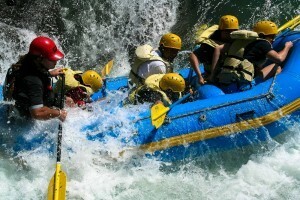 Professional guide will lead you to the excitement of the thrilling rapids. Welcome even for beginners! Rafting in Hokkaido? Yes, why not! The area has one of the most exciting rivers in Japan for rafting. Visit Hokkaido Outdor Adventures and the guides from all over the world will show you the exciting world of the rivers! This will be a great refreshing day in the summer!